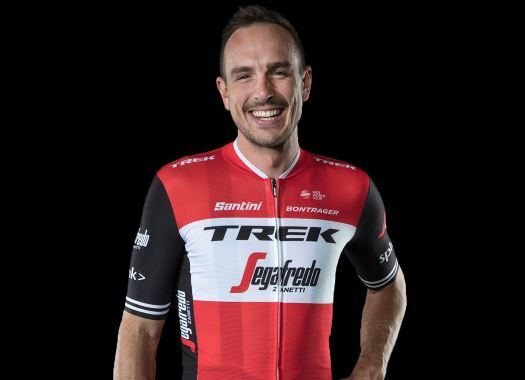 Trek-Segafredo's John Degenkolb took the victory of Paris-Roubaix in 2015 and he's ready to tackle the race once again. The rider has special memories of the cobbles and wants to perform again in the Monument. The German took the victory of the ninth stage of the 2018 Tour de France, which included many of the cobblestone sectors of Paris-Roubaix. That was the first big win of the rider after the accident he suffered on January of 2016 while training in Spain that was a setback for the rider that was just finishing a season in which he won Paris-Roubaix and Milano-Sanremo. "It was nice to be back on the cobbles," he commented. "I did a first recon of the pavé before Paris-Nice to test the equipment the last time. It was, of course, a very special feeling to be back there and riding towards the velodrome. The finish in the Tour de France last year was next to it, and looking back at my victory in 2015 it was very nice to read my own name on one of the stones next to the last pavé. It's a proud memory that's for sure. "The emotions after winning Paris-Roubaix were also pretty big, but last year, that victory in stage 9 of the Tour de France came at the end of a very hard part of my career and that's what made it so special. It was a very big relief; it was the first big victory for me since the accident. All the pressure, all the hard work you've put in, you can finally leave that behind and that makes it very emotional." Degenkolb faces the 2019 edition of the known as the 'Hell of the North' with renewed optimism. "The victory last year has been a real game changer for me," the rider explained. "Since then (knocks on wood) I was not really sick anymore and I had no injuries anymore. "Until that part, I had always something and when I got through it, I just knew the next issue would be around the corner. I was always chasing back. Now, I really have the feeling that I am condition- and shape-wise on a very stable base and that gives me a lot more confidence."